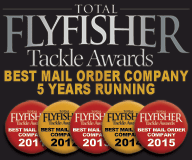 The huge ICAST show in Las Vegas is always a great place to watch out for the latest in fishing gear from the biggest names and 2013 is no different! With the trade still buzzing from the news that Pure Fishing Inc had acquired Hardy and Greys Ltd, the product development team at the prestigious Hardy brand wow us all again with a preview of next years stunning new Hardy gear! The hardy Zenith gets a slight facelift for 2014! 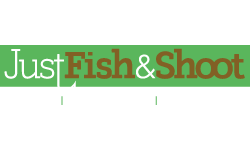 First up we have the new Hardy Jet fly rods, and after the amazing success of the best selling Zenith and Proaxis (which will be sporting new reelseats for 2014!) rods it is no surprise that these new rods utilise Hardy's award winning SINTRIX™ material and manufacturing techniques, but this time at a new lower price point that will be more within the reach of the enthusiastic day ticket angler! The new Hardy Jet - SINTRIX™ technology at a lower price point in 2013!  There will be around twenty rods in the Jet range which cover all the most popular single and double hand models for freshwater and the range is sure to feature some 10' light line rods as this style of river fishing increases in popularity. 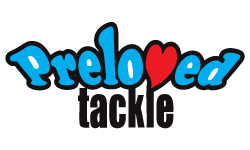 With increased strength and a more refined middle to tip action resulting in a lighter, easy to use yet strong rod that has been crafted to offer a high level of performance and day to day fishability in a smart modern classic package. The new rods should hit the GAC shelves in October 2013! The new UK made Hardy Bougle - a future classic! Next we have a new incarnation of the classic Bougle fly reel as Hardy begin the process of bringing the manufacture of their historic fly reels back to the UK, under the Hardy Bros banner. 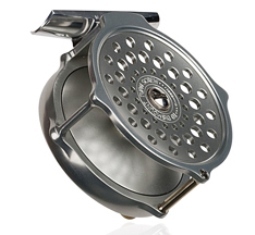 The new repatriated Bougle Fly Reel will be offered in five sizes, including the favourite Baby Bougle. 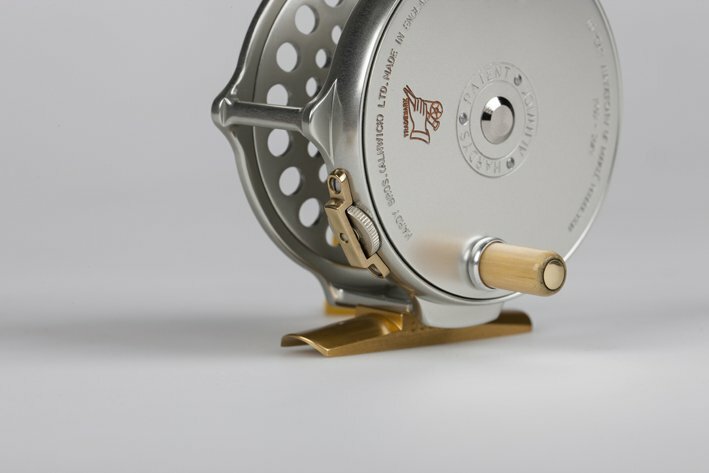 When the first Hardy Bougle reel was catalogued in 1903 it was simply a variation on the famous Hardy Perfect reel. This variation was initially requested by Frenchman Louis Bougle, a famous fly angler and tournament caster who requested that Hardy made him a reel with a good line capacity but at the same time remained light enough to balance rods between 4 1/2oz and 8oz. From this initial request, the Hardy Bougle reel went from strength to strength and became one of the most famous reels in angling history. 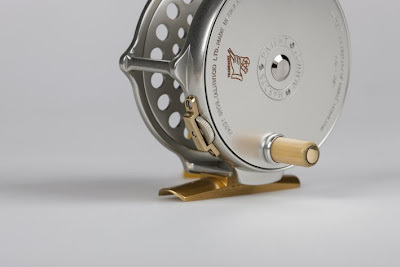 Now 110 years later, and after the success of the recent Limited Edition Bougle, Hardy Bros are proud to offer a new British made variant of the Bougle reel which they feel might be one of the best yet – with its rolling pillar, reversible click check, naval brass bush and spindle and a hand polished, deep anodised ‘Pearl Silver’ finish, this Bougle reel is sure to become one of the classics. Made by time served Hardy Bros reel makers Alnwick, this Bougle reel in a beautiful, UK made, soft leather and sheepskin lined reel case. We hope to see the first of these reels in September 2013! 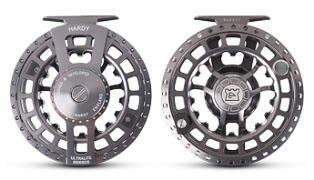 The awesome new Hardy Ultralite SDS fly reel! And it is not just the classics reels that are being updated! 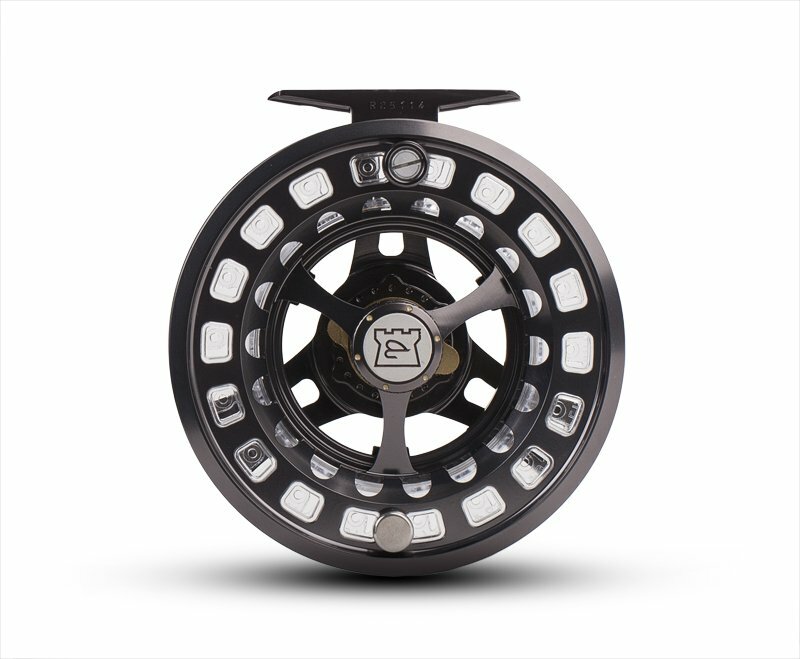 The new Hardy Ultralite SDS (Sealed drag system) reel is a light weight, ultra large arbour design with an advanced woven carbon disk drag system that delivers smooth reliable performance under the harshest of angling conditions. Designed in Alnwick and tested in some of the most challenging saltwater fishing conditions on the Planet the Ultralite SDS has an incredible line retrieval rate that allows the angler to recover line at the break neck speeds often required when chasing some of the Hardest fighting fish to be found anywhere. GAC have put the new Ultralite SDS through its paces as a Salmon reel! The Hardy Ultralite SDS will come in three sizes covering line weights from #7 to #12. We have used these reels already at GAC and can confirm that as well as stunning looks and durability the Ultralite SDS, as with many other top end saltwater reels, would also perfectly match any modern two handed Salmon rod. We hope to have these reels in stock by January 2014! The Ultralite SDS has the capacity for the biggest of Spey lines! It was only a matter of time before the technology used in the Hardy SINTRIX™ filtered into fishing disciplines other than fly fishing and after three years of testing the technology that revolutionised fly rods will now do the same for spinning and lure fishing rods. The new Hardy Ultralite SDS - available in 2014 from GAC! The new Hardy Silex rods will change what you expect from a spinning rod. The SINTRIX™ material allowed the Hardy design team to develop new rods unlike any high performance rod that has come before.  There will be a wide selection of spinning and lure rods covering a full range of applications including ultralight, Bass, Salmon, Trout, predator and inshore saltwater spinning. Due in stock January 2014! The Silex Spinning rods will come in all shapes and sizes! Following countless requests from both trade and consumers, the award winning Hardy Ultralite CLS reel will finally be made available in a 9000 size to accommodate all of your Salmon fishing requirements. From shooting heads to full Spey lines, the 9000 CLS will accommodate them all and is sure to become a best seller.  Glasgow Angling Centre should have them in stock by September 2013! The Ultralite CLS - Soon to be available in a 9000 Salmon size!  To keep up to date with the latest news on these and many other new products make sure you subscribe to the Fishingmegastore Blog or follow us on Facebook or Twitter to receive regular updates!